Ō Tū Wharekai contains a range of threatened wildlife. Ō Tū Wharekai has been shaped by glaciers and provides a variety of habitats. Because the landscape is so varied it is able to support a large amount of wildlife. There are over 30 bird species that regularly use the lakes and wetlands. Ō Tū Wharekai contains the upper Rangitata River, which includes one of the most important breeding sites for the threatened wrybill/ngutu pare. Other birds such as the Austalian bittern/mātuku, and the Australian crested grebe/kāmana can be found at Ō Tū Wharekai. As well as birds and fish, Ō Tū Wharekai is also home to minute animals called zooplankton, that live in the water. Ō Tū Wharekai is also an important site for kettle holes which support rare ephemeral turf vegetation. The swamps of Ō Tū Wharekai include a threatened sedge. Plants aren’t just restricted to above water, Ō Tū Wharekai has a huge diversity of macrophytes or aquatic plants, including freshwater algae. 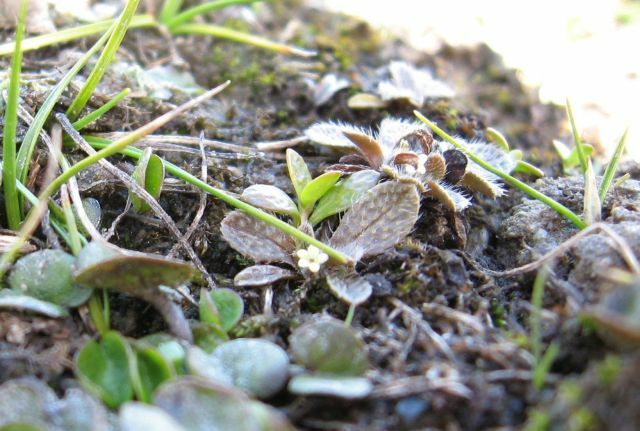 There are many threatened animals and plants living in Ō Tū Wharekai. upland longjaw galaxias (small, freshwater fish). These wetlands also contain some of the best examples of red tussock and pūkio wetlands in Canterbury. A good reason to treasure: Saving endangered plants and animals from becoming extinct and protecting their wild places is important for our health and our future. 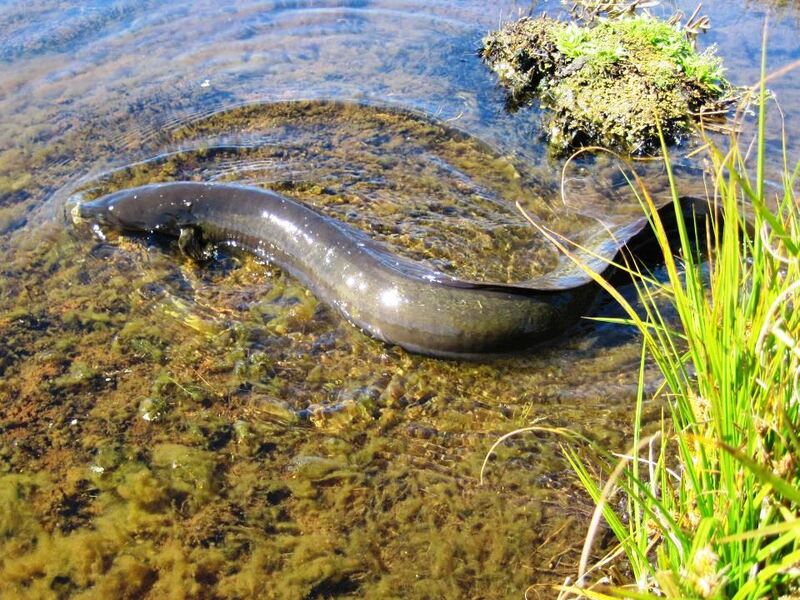 Ō Tū Wharekai is home to threatened native fish. What animal is pictured here? Image: LEARNZ. 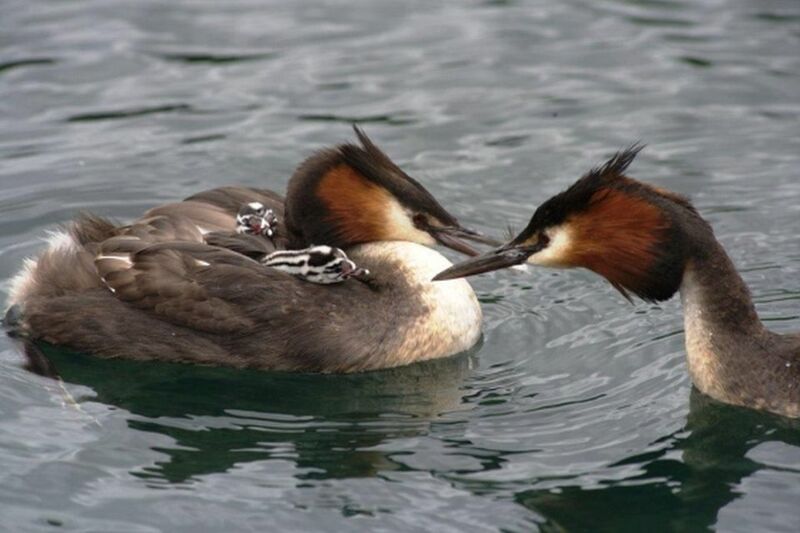 This is an Australasian crested grebe/Kāmana. What other threatened bird species might you see at Ō Tū Wharekai? Image: LEARNZ. 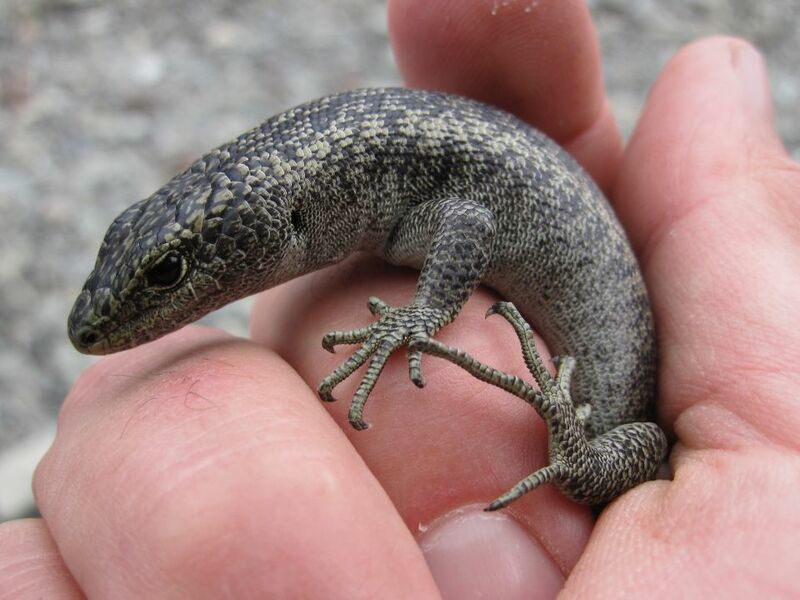 A small scree skink, one of two threatened lizards that can be found at Ō Tū Wharekai. What is the other one called? Image: LEARNZ. Special plants can be found in these wetlands. This is a pygmy forget-me-not from an ephemeral tarn. Why do you think it grows so small? Image: LEARNZ.